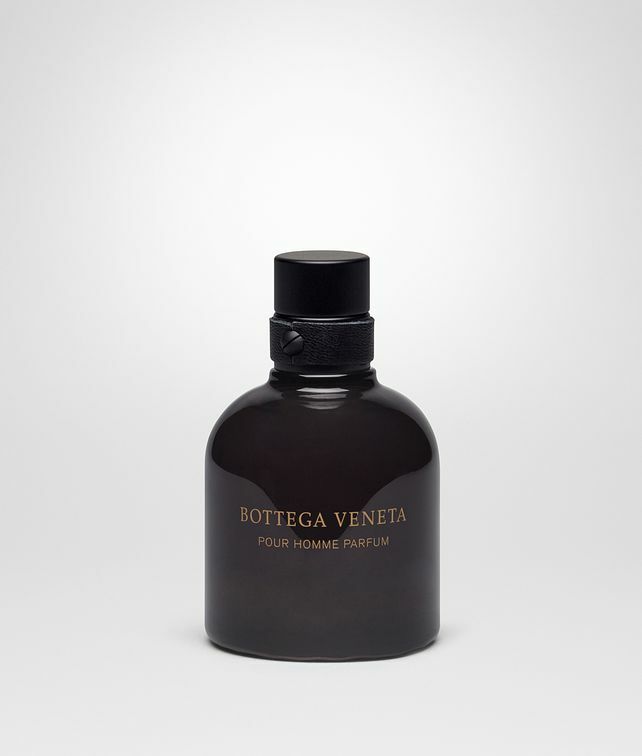 Handcrafted from the finest raw materials, it is the most luxurious expression of Bottega Veneta Pour Homme fragrances. This powerful scent features a fusing top note of cedar leaves and spicy cardamom. The pimento and fir balsam undertones blend with opulent leather and tonka bean notes for a seductive, long-lasting trail. Presented in a sophisticated opaque black glass bottle, with a matte-finish cap and signature leather detail. Gold lettering completes the contemporary design. Notes of cedar, cardamom, pimento, fir balsam, leather, tonka bean.